Today we took out Jack and his family from Long Island. The trolling continues to be great so thats how we started. It didn’t take too long before we started catching Blacken Tunas as well as a few Bonitas. After trolling they wanted to switch things up a little so we decided to try some bottom fishing. It took a little bit but ended catching Little Jack this nice Snowy Grouper. 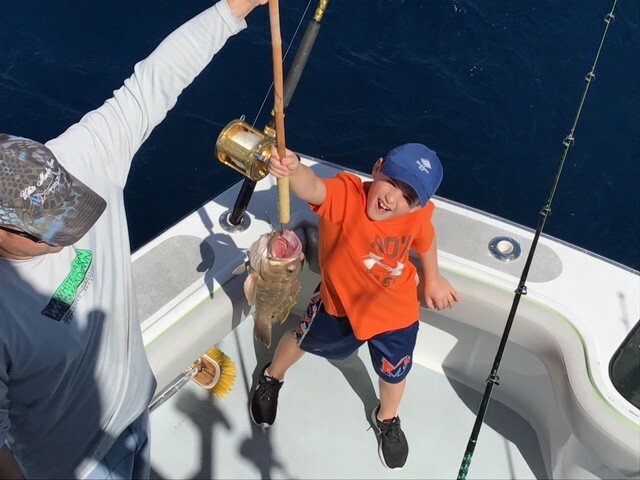 Thank you for fishing with us aboard the Hooked Up.